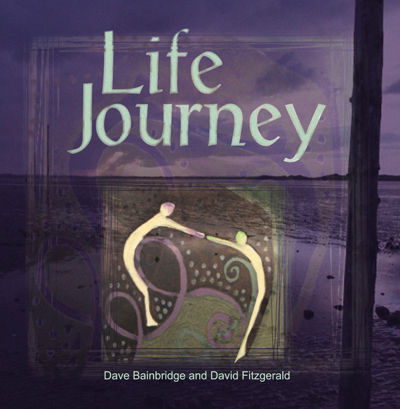 David Fitzgerald and Dave Bainbridge, founders of the hugely successful band IONA and solo artists in their own right, have joined together to produce an instrumental contemplative album based around the artwork, prayers and poems of Mary Fleeson's book Life Journey - a call to Christ-centred living. "The music on this album was originally commissioned and conceived as an interpretation in sound of the incredibly inspiring imagery and prose contained within Mary Fleeson's wonderful book 'Life Journey'. In that it has undoubtedly succeeded, but has also transcended the original brief as the unique chemistry between the two musicians that co-founded Iona has once again produced a deeply spiritual, timeless work." A completely instrumental album (apart from some choral samples), the two Davids came together and spent several days improvising as they poured over the book and responded to the words and pictures. Over the next year, these improvisations were gradually shaped into complete compositions which follow the chapters of the book. Dave B relates: "In many ways this felt like we were returning to the source of the inspiration that birthed IONA the band. IONA was born out of David and I improvising together during soundchecks on Adrian Snell gigs back at the end of the 1980's and David's mystical experience of God's powerful Presence one dark night on the Island of Lindisfarne. This book was also birthed by Mary on Lindisfarne and much of its imagery is inspired by that amazing place. At certain points during the album you can hear sounds that Mary's husband Mark recorded on the island - the St Mary's church bell, the sea lapping on nearby St Cuthbert's Isle, the sound of the seabirds."